This is farmhouse style at its most charming. 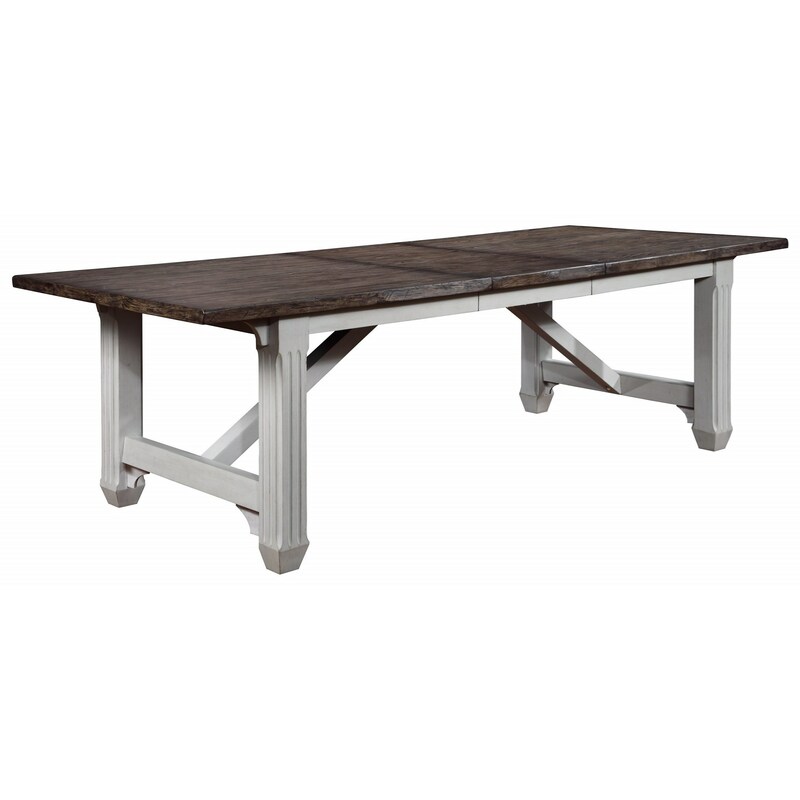 Its easy to imagine your loved ones gathering around this dining table with its relaxing blend of classic shapes and distressed, vintage wood finishes. The trestle-style table seats six, but the addition of one table leaf allows you to seat up to eight people comfortably. Its the perfect centerpiece for holidays and family dinner parties. The Mystic Cay Rectangular Dining Table with Table Leaf at Miskelly Furniture in the Jackson, Pearl, Madison, Ridgeland, Flowood Mississippi area. Product availability may vary. Contact us for the most current availability on this product.